Schedule backup of Plans and Tasks details as Excel to OneDrive / Local folder. Use this Excel to recreate Plans and Tasks from Planner Manager. You can connect this backedup Excel file with your PowerBI and create dashboards for Microsoft Planner. SAGA is a “single point service provider offering a gamut of services in all areas of the Oil Sector covering - Technical Backup Services, Technical Consultancy Services, Management Consultancy Services, Turnaround Maintenance Services, PMC Services, HRD & Training Services and Procurement Services. 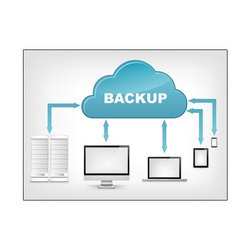 Cloud Backup for Windows Desktop File system Backup. Backup files and folders on your Windows desktop to the cloud storage of your choice. We do an analysis of your Hard disk, Online. It must get detected in bios, or in disk managment, or in any manner get detected in any windows system. On request, we suggest you do down load a remote view desktop software. and/or associated softwares. We need to backup for everything in life, then when it is data for your organization, it's backing up the soul of your business! Rackbank is pioneer in Indian market to manage the soul of your business, your data! Vaulten Biz is a sophicated yet easy-to-use software application installed desktop or laptop to back up data on either locally hosted back up server or remote back up server in offsite data center. Data are the most crucial Part to of the company, Hence data backup and recovery is always been suggested. Lose of data can take place in either ways like accidental deletion, database corruption, A good Backup and Data Recovery can save allows company to store their data and database at a secure location.